Help us bring BDS to SNP Conference! SNP Friends of Palestine want to bring the debate on the worldwide BDS campaign (Boycott, Divestment & Sanctions) to this years SNP National Conference. 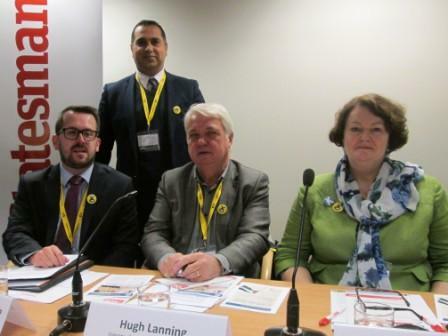 Since it's formation in 2015, SNP Friends of Palestine has managed to have a stall at every Conference, and we've managed to hold a number of very successful conference fringe events & meetings on subjects such as the spread of illegal settlements, the 11-year-old siege on Gaza and the growing medical crisis in occupied Palestine. Unfortunately this year our funds are drying up, resulting in less chance to raise the issues of Palestinian human rights and BDS at national conference. In 2005 Palestinian Civil Society called for Boycott, Divestment and Sanctions against the Israeli regime until it complied with International Law and the 'Universal Principles of Human Rights' and since then there have been some major successes. However, this year things have escalated. Since the March 30th this year 170 Palestinians have been killed, with thousands injured and maimed, on the Gaza frontier by Israeli Military in demonstrations dubbed The Great Return March directly on order of the Israeli cabinet. 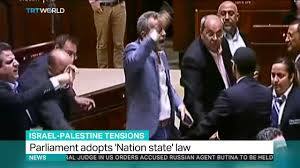 On the 19th of July in a deliberate move to discrimination against Palestinians, Israel, in passing the 'Nation-State' bill, enshrined apartheid in law. For these reasons, it is now more important than ever that we bring the worldwide BDS campaign to the fore in the SNP. We want to have a sizeable conference fringe meeting with prominent speakers having an open and frank discussion on BDS and how we as members exert pressure on our party leadership and the Scottish Government to take the hard decisions needed to fight against Israeli apartheid and the ongoing human rights abuses and international law violations. "Boycott, Divestment, Sanctions (BDS) is a Palestinian-led movement for freedom, justice and equality. BDS upholds the simple principle that Palestinians are entitled to the same rights as the rest of humanity. BDS is now a vibrant global movement made up of unions, academic associations, churches and grassroots movements across the world. Eleven years since its launch, BDS is having a major impact and is effectively challenging international support for Israeli apartheid and settler-colonialism. " HOWEVER, this costs money, lots of it. SNP Friends of Palestine do not receive a penny from the party and rely solely on donations, so in order to 'bring BDS to SNP National Conference' by means of a stall and fringe meeting, we need your help financially. The hall hire costs for our BDS Fringe event will cost us between £1390 - £1990 (+Vat) and our Conference Stall will cost up to £1200 (+vat).